your house warm, your energy bills low and your plumbing problem free. .
out service as well as being expert installers of beautiful bathrooms & kitchens. Also covered are electrical wiring, sockets, lights, heating controls, gas fires, cookers and water heaters. Everything we do, whether installations, servicing, replacements or repairs, is properly safety-checked and we keep our customers well informed at every stage of the job to avoid any hidden surprises. 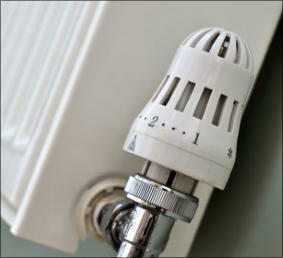 For any plumbing in Ashford, central heating in Ashford or electrical work in Ashford, please give us a call! No job is too big or too small. (Also 7 yrs warranty on Vaillant and 10 years on Worcester Bosch boilers) . . . please contact us! Please click plumber ashford for a free, no obligation quotation for any plumbing & heating project, large or small. Allgas Plumbing, Heating & Electrical in Ashford is a small local Ashford business that is big on service! This includes all domestic central heating installations, natural gas, LPG systems upgrades repairs, boiler installation & replacements with warranties of up to 15 years, under floor heating, bathrooms, wet rooms, kitchens and all associated electrical work. installers of beautiful bathrooms & kitchens. Also covered are electrical wiring, sockets, lights, heating controls, gas fires, cookers and water heaters. Everything we do, whether installations, servicing, replacements or repairs, is properly safety- checked and we keep our customers well informed at every stage of the job to avoid any hidden surprises. For any plumbing in Ashford, central heating in Ashford or electrical work in Ashford, please give us a call! No job is too big or too small. bills low and your plumbing problem free. .
solar and underfloor heating with a rapid response emergency call out service as well as being expert installers of beautiful bathrooms & kitchens.